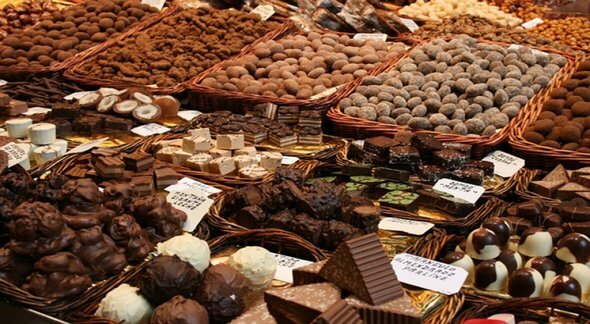 Perugia is the capital city of chocolate, thanks to Eurochocolate Festival that this year will be from 13th to 22th October 2016. A unique experience, where the chocolate is proposed as a product and also as an instrument of knowledge of different worlds and cultures. This one will be a special and really fun edition because it is dedicated to music: the 2017 Eurochocolate slogan is "All Another Music", represented by a maxi piano of real chocolate. 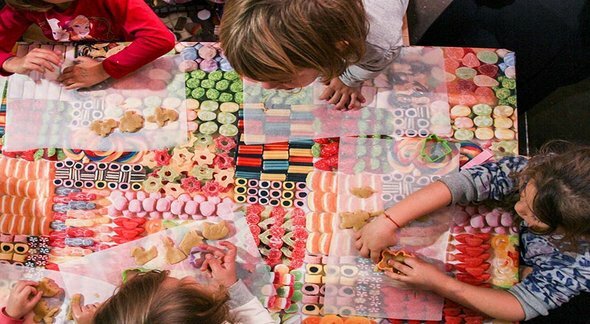 In the main square Piazza IV Novembre, the heart of Perugia and Eurochocolate, will be created the installation of a Maxi Chocolate Piano with the piano keys of white and dark chocolate, where visitors will have fun sharing a unique and original selfie. On stage also musical games to win sweet tastes! And this is because Eurochocolate is also sharing: a gluttonous feast and, at the same time, an experience to live in company ! A special music exhibit is absolutely not to be missed: the original exhibit of musical instruments made by chocolate with 11 full-scale instruments including guitar, trumpet and xylophone. The exhibit will be the scenery of one of the most well-established appointment of the Festival: Chocolate with the Author, a series of meeting dedicated to sweets literature. 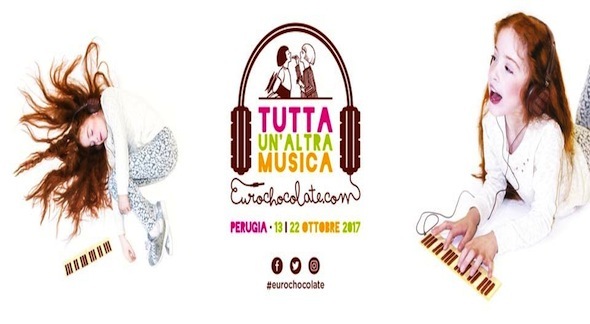 For this 2017 Edition, Eurochocolate has also some important partnerships such as the one with Radio Subasio, official radio of the event that will involve guests and listeners in funny initiatives during all the Festival, or the one with MEI - Meeting Etichette Indipendenti that will bring to Perugia emerging singers and musicians. The main theme, as always, is the chocolate: the artists will introduce special songs dedicated to it and we are all impatient to listen them during the nights of the Festival. It is really another music, we can say it! In addition to the emerging music, space also to the traditional one with the event #BandaLarga dedicated to the marching bands, cultural groups who characterize many Umbrian and Italian communities. A bridge of notes that wants to join a popular festival like Eurochocolate to the best expressions of the marching band culture of our country, thanks to the esibitions organized in collaboration with Anbima - National Association of Italian Marching Bands. To have a memory of this special 2017 Eurochocolate, guests will be enchanting by the new line of chocolate products inspired by music of Costruttori di Dolcezze by Eurochocolate. There will be chocolate cassette tapes, vinyls, CDs, radios and piano keyboards of white and dark chocolate. The world of music is mixes with the one of chocolate, creating emotions and memories with a touch of sweetness.